Rule breaking, specifically on the road, is not something I relish doing. Unlike aggressive lane changers and unashamed queue jumpers, I prize safety above all. But I’m not perfect. I have caught myself multitasking one too many times, phone in hand, eyes inadvertently off the road to briefly glance at the string of notifications coming in on my phone screen. And while car manufacturers are constantly going the extra mile to implement state-of-the-art programmes to facilitate the smoothest and safest drives, unintended blunders by way of human error are inevitable. 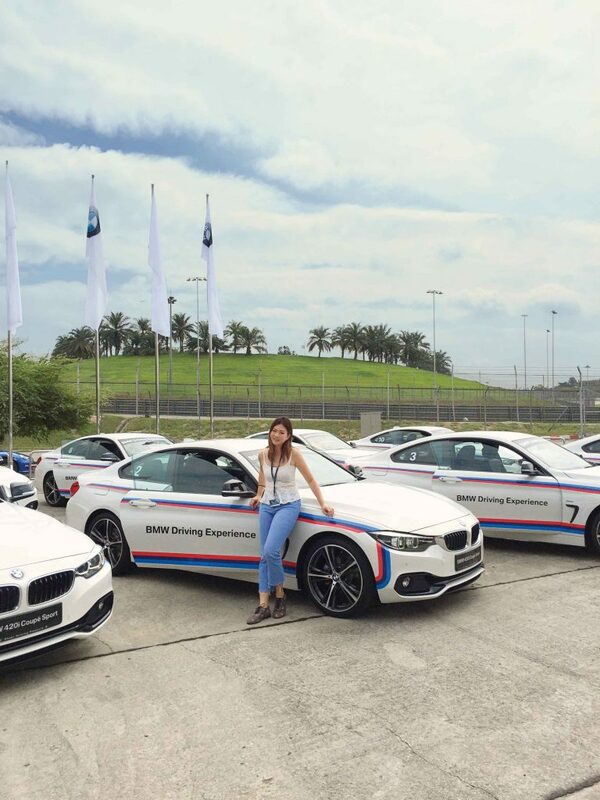 That’s where the BMW Driving Experience comes in. It was a couple’ve minutes before 10am, and I just parked my car by the Perdana Suite at the Sepang International Circuit. So far, I’ve practiced the art of unsafe driving—my left thumb briskly scrolling and swiping, steering wheel delicately controlled with my right hand, A$AP Rocky’s latest album blaring through a Burmester sound system. 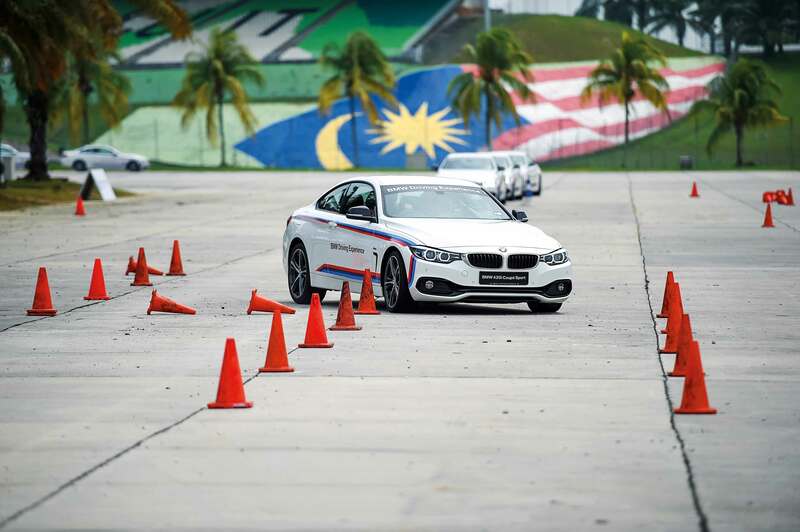 Ironically, I was about to embark on an exhilarating driving programme which main goal was to instil a clear sense of risk management in everyday driving. This wasn’t my first rodeo at the world-class racetrack, but it was the first time I was going to be taught how to recognise, avoid, and solve potential real-life road hazards. I was game. After 40 minutes of classroom-style briefing, we hopped into the requisite vehicle of the Advanced Module, the BMW 420i Coupé Sport, and we were ready to hit the throttle. I most looked forward to having any of my previously held beliefs contradicted. And I did, in the simplest of ways. Whether it’s learning the appropriate seat adjustments—height should be adjusted so the head is two inches away from the ceiling, optimal distance is when the left knee is placed on the foot rest while adjusting until it is slightly bent—or discovering the tricks of swift steering and clever manoeuvres during the timed slalom challenge. Three notable takeaways: One, always have your eyes focused on where you want to go. Sounds simple, yes? But most of the time, our eyes are glued to where the car is moving towards. And instead of setting our intentions and looking at the spot, we focus on where the car is going, derailing us from our desired direction, which then might cause accidental scrapes to happen. It was an eureka moment when I realised this as we manoeuvred the traffic cones as quickly as we could, without tapping on the brake. Two, and this is something I admittedly had a hard time grasping during our oversteering exercises. In theory, and in my head, it sounded so simple. All I had to do was switch off the Dynamic Stability Control function, enter the zone in full speed, lose traction control when taking the corner, and countersteer. Drift, complete. This took me three failed tries before I finally got it. A fluke? Possibly. But I succeeded at least once, so there. I left the Hermann Tilke-designed F1 circuit when the sun was just about to set, completion certificate in hand, equipped with the essential knowledge and practical know-how for all my future drives. Was I a world-class driver yet? Definitely not. But for now, I’ve mastered the art of safe driving, and is that not the most crucial thing when on the road?